Ava has a busy mind and is having trouble falling asleep. So what’s the best thing a person can do to nod off? Count sheep of course! 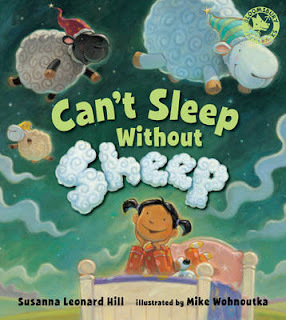 The only problem is Ava is taking so long to fall asleep, the sheep become tired and decide to quit. Thankfully they promise Ava they will find her a replacement. Chickens, cows, pigs and hippos arrive to help Ava but none can quite manage the art of jumping over a fence as wonderfully as sheep do. Ava uses a bit of charm and praise and convinces the sheep to get back to work. Sure enough, they do the job. Beautiful soft and dreamy illustrations with a lovely pace and rhythm, this one is sure to become a bedtime favourite. My kid love it. Thank you for review.